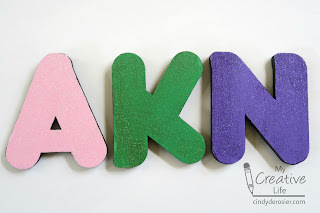 I did some covert research to find the names of the family members of my Snap Conference secret sister and made them a set of monogram refrigerator magnets, inspired by the block magnets I made for my own family. Using the foam brush, paint the front of each monogram with acrylic paint. Let the paint dry completely, then add a coat of Extreme Glitter paint in the same shade. For even more sparkle, let that coat dry completely and add a second coat. Paint the back of each letter black. Let that dry completely. Use a small paintbrush to paint the sides of each letter black. When the paint is dry, turn the letters over. 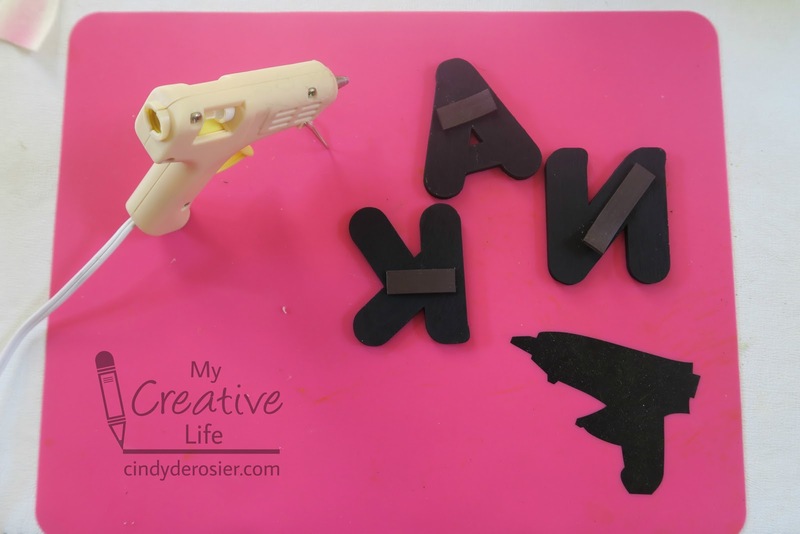 Cut strips of magnet tape and glue them to the backs. 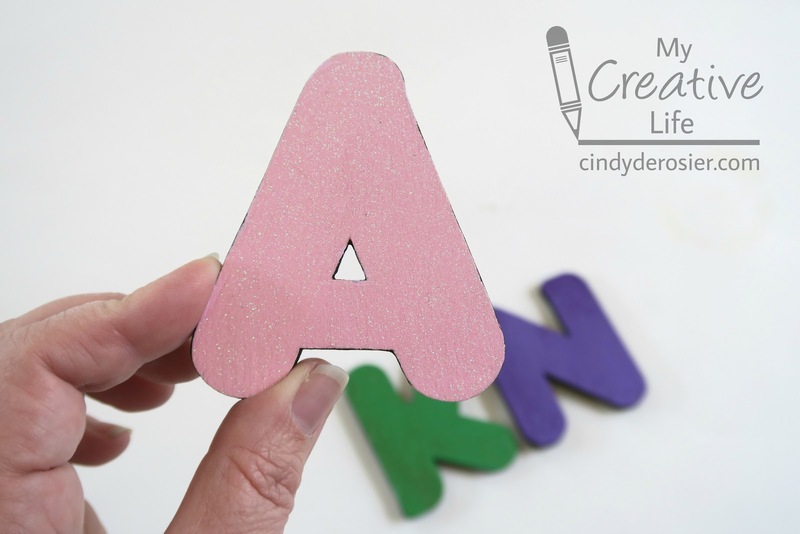 These magnets make it easy to tell at a glance whose notes, artwork, forms, etc. are whose. Give it a try! What an awesome idea! I loveeeeeee these!!!!!!!!!!!! !